Samsung Electronics today opened exhibition spaces celebrating artistry and design at the London Design Festival, one of the top three worldwide design festivals. Based on the partnership with Saatchi Art, Samsung has created ‘The Frame X Saatchi Art’ gallery to utilize The Frame, the latest lifestyle TV designed for artists, galleries and consumers alike to share and experience art in new ways. Samsung will also host a pop-up store for visitors to see the inspiration behind The Frame. The Frame is designed specifically to give more purpose and meaning to the TV. Reflecting an entirely new concept and category in television, it beautifully blends into any living space while providing added value and functionality for the home. When The Frame is powered on, it delivers the premium UHD picture quality consumers have come to expect from Samsung. When it’s powered off, it transforms into a work of art – offering a new proposition for the wall and for the home. 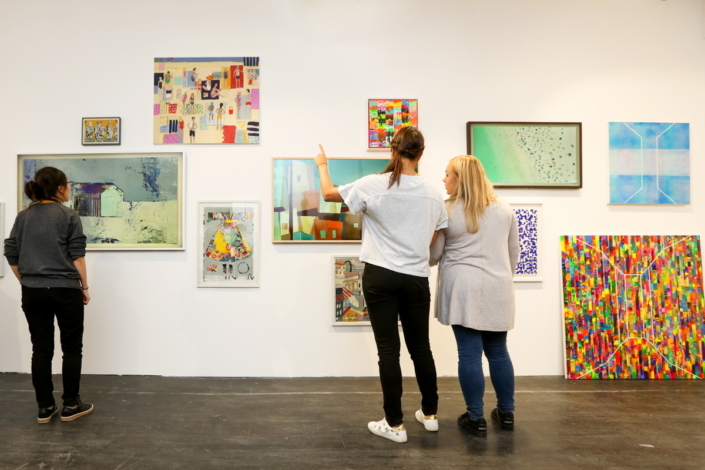 At the London Design Festival, ‘The Frame X Saatchi Art’ gallery showcases prominent artwork from the online art gallery, Saatchi Art, which represents thousands of extraordinary artists from all over the world. Visitors will also have the chance to interact with The Frame and learn more about the Art Store at The Frame pop-up store. 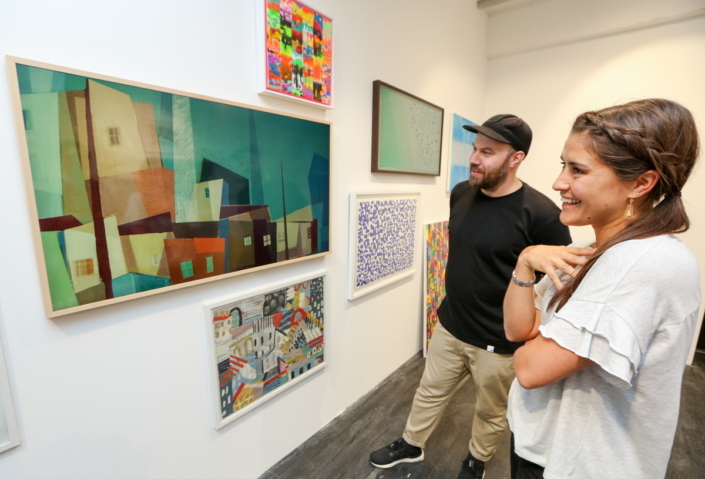 Through the Art Store, The Frame creates an ecosystem that provides an opportunity for artists or galleries to share their artwork on a platform that is professionally curated to meet the tastes of any consumer. Through Samsung’s partnership with Saatchi Art and chief curator Rebecca Wilson, the brand will also host a series of presentations at the London Design Festival, including “Vision Telling,” focusing on the intersection of art and technology, and a “Talk with Artists,” including Colin McCallum and Anna Hymas, to discuss the inspiration behind their work for The Frame. The Frame is now available in 43, 55 and 65-inch models, offering consumers more choice and flexibility to customize any living space. In addition to customized art pieces from the Art Store and the Samsung Collection, consumers can utilize the My Collection feature to import and display their own art images or pictures from their personal photo libraries directly onto the screen. Celebrating the London Design Festival, Samsung will provide exclusive offers to all the consumers who purchase The Frame from September 20 to October 1 in the UK. Consumers will be given a six-month free subscription to the Art Store, a choice of two TV bezels or Studio Stand and six-month interest-free option. Visitors who purchase The Frame at the festival will also receive additional offers, such as free delivery and installation of The Frame as well as a custom The Frame eco-tote bag with free catalog and postcards of beautiful artwork. Samsung’s The Frame gallery and pop-up store will be open at Old Truman Brewery, Unit 7 and 11, on Drays Walk from September 21 through 25. For more information on The Frame at the London Design Festival, please visit here.